On the music end, Yeah Yeah Yeahs, The Flaming Lips and The Darkness will take the stage Friday to kick off this year’s festival. Matt & Kim and Sharon Jones and the Dap-Kings will headline the Saturday and Sunday shows, respectively. The Kickoff Concert is ($49.50-$54.50), while the Saturday/Sunday shows are free with registration. 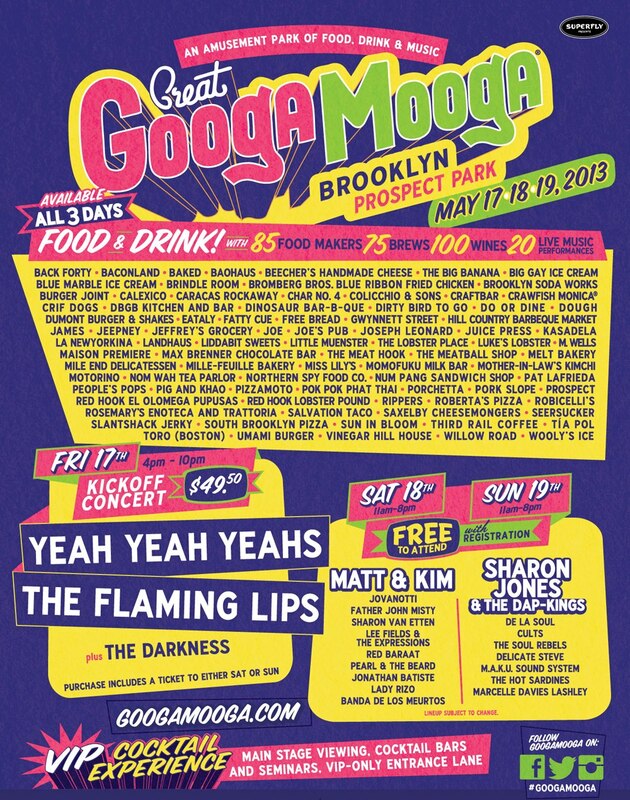 When it comes to food, Great GoogaMooga is planning approximate 85 food vendors, including BaoHaus, Momofuku Milk Bar, Umami Burger and many more.